Yosemite Tours Starting at Just $115! 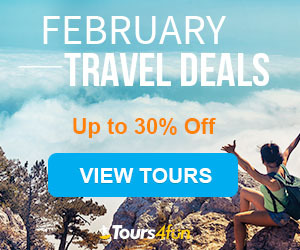 Save 20% off an American South and Midwest Tour: Chicago, St. Louis, New Orleans**From Chicago with airport shuttle service**! Take $27 off 7-Day Italy, Switzerland, and France Tour from now until Aug 31!